Edith Piaf was just four feet and ten inches tall, but the tiny French singer and actress left a huge mark in her home country and abroad. She died on this day more than 50 years ago. 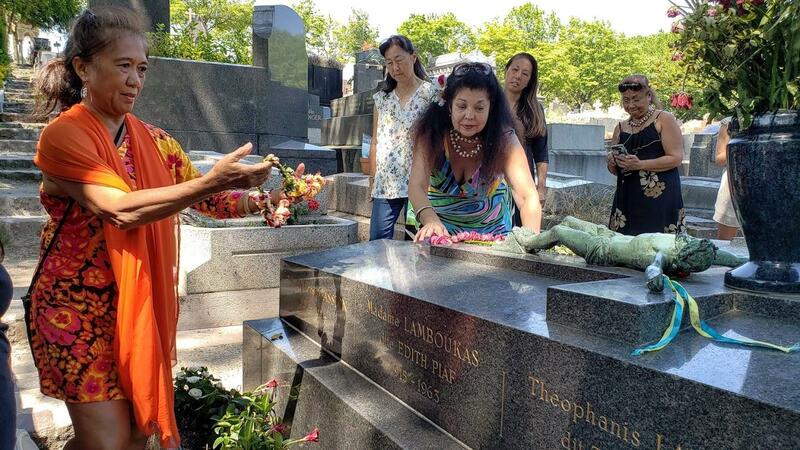 Her song “La Vie En Rose” is a french classic and this summer a paris Hula Halau paid tribute to Piaf by sharing a hula at her gravesite in the historic cemetary Pere La Chaise. Come along to the city of lights.